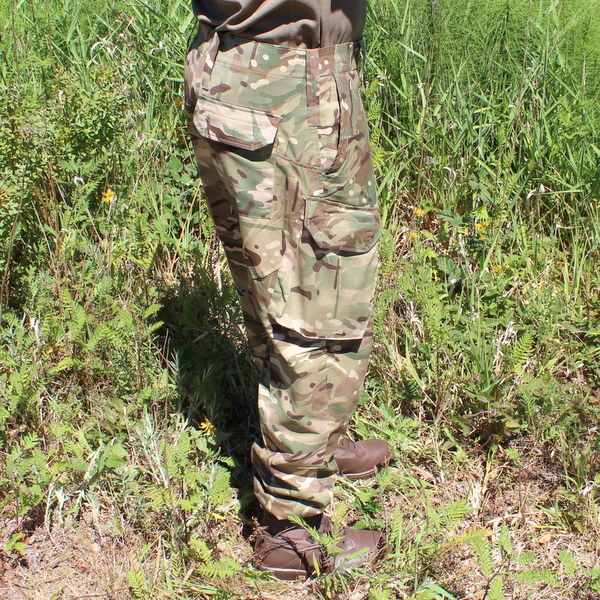 These trousers, like the matching jacket found here are made from the same 30/70 poly-cotton fabric used on all the Warm Weather PCS clothing items, double lined around the seat area. Treated with Permethrin in order to repel mosquitos and other biting insects, they can be worn either bloused or unbloused. 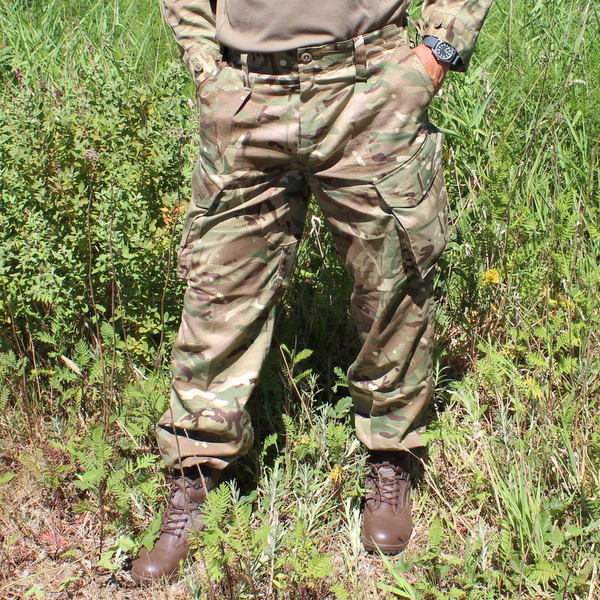 They are comfortable and practical in the field or even for relaxing in the garden or doing yard work. 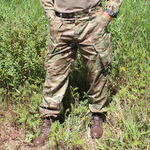 They feature a zip and button fly and drawcords at the waist and ankles. Large sewn-in waist loops cater for a variety of belts and the loops by the hip pockets have an additional securing loop for the securing of small equipment by a length of paracord or other expedient. The two side hip pockets are mesh lined for coolness and the left pocket has an additional zipper secured compartment for small or valuable items. Both legs benefit from large forward angled cargo pockets, the closing flaps of which feature large slotted buttons, covered to prevent snagging. 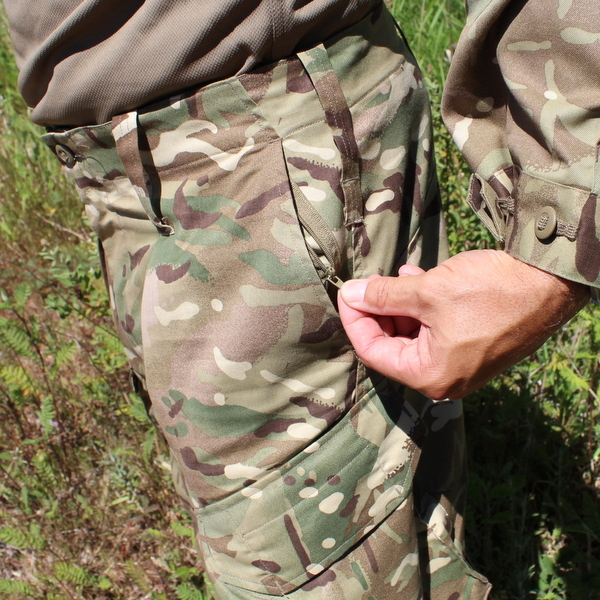 At the rear, a right hand pocket will take a wallet or notbook securely and is accessed by a button down flap. 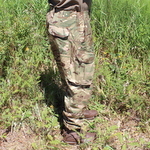 Again, a slotted button is used here which is covered to prevent it getting caught on camouflage nets or other equipment. 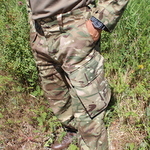 As with all our PCS items, these trousers are brand new from UK military supplies - definitely NOT pre-worn surplus items. The sizes we have available are shown below in the drop down menu and indicate measurement in centimeters for Inside leg, Waist and Seat (hips).